Below you can see the links to the websites of the previous editions of our conference. The initial title of the conference was Social Media in Academia: Research and Teaching” (2013-2015), but it was changed at the 4th edition (2016), in order to cover more topics of research regarding the innovative studies and good practices in applying scientific methods in academic research and teaching. The conference focused on three major themes: artificial intelligence, neuroscience, cognitive sciences. All papers were published in BRAIN journal, indexed by Thomson-Reuters, in Web of Science. The conference was held together with the final conference of the NOVAMOOC project: Development and innovative implementation of MOOCs in Higher Education. 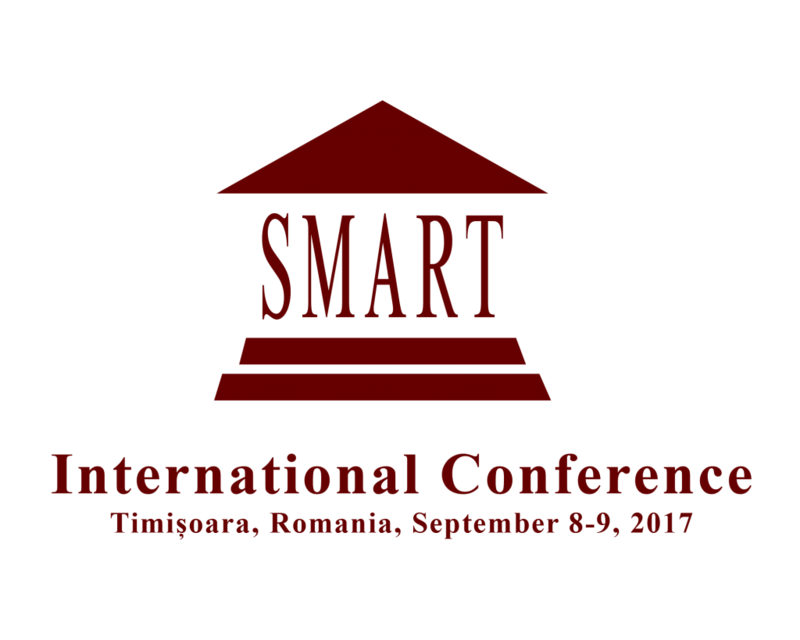 The 3rd edition of the SMART conference was organized in the framework of a multi-conference, coordinated by Professor Viorel Guliciuc. The main aim was to help the young researchers and members of the academic community to share and challenge their innovative or revolutionary ideas, for the (future) public defend of their work, in internationally recognized journals, like BRAIN, Postmodern Openings a.o. On one hand, with the emergence/increased use of social media tools, a large number of higher education institutions are embracing the tools offered by social media. The conference discussed about the rethinking of the academic work environments based on social media tools and applications in accordance with the learning needs, skills, and competencies of students. On the other hand, this conference analyzed the relation between social media and politics by investigating the power of the internet, and more specifically social media, in the political and social discourse. The 1st edition of the conference, called Social Media in Academia: Research and Teaching provided relevant theoretical frameworks and the latest research on social media the challenges in the educational context. The conference was essential for professionals aiming to improve their understanding of social media at different levels of education as well as researchers in the fields of e-learning, educational science and information and communication sciences and much more. With the emergence/increased use of social media tools, a large number of higher education institutions are embracing this new ecology of information offered by social media. More and more colleges and universities from all over the world are transitioning from traditional teaching/learning towards social media teaching/learning, widening their curriculum landscape beyond technology by integrating different forms of social media, like social networks, microblogs, or cloud computing. However, in this era of fundamental changes in education brought by virtual worlds and augmented reality, dominated by mobile devices and applications, it is necessary to rethink the academic work environments based on social media tools and applications like Facebook, Twitter or YouTube, in accordance with the learning needs, skills, and competencies of students. 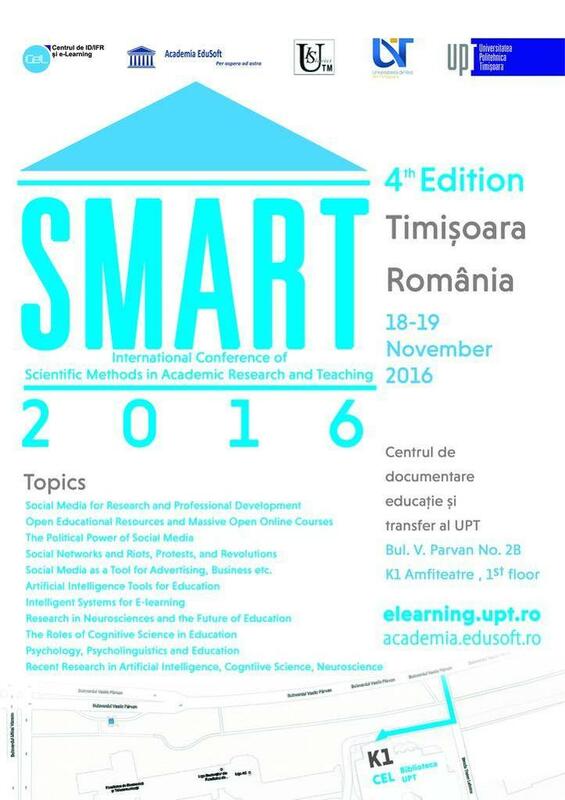 Copyright © 2019 SMART 2018 – Bacau & Iasi, Romania, June 7-10, 2018. All Rights Reserved.